Using Kabbalah and its numerical value of 137 as a “coupling constant” between Torah and science, Rabbi Ginsburgh delves into the cutting-edge theories of modern physics, such as complementarity, uncertainty, the expanding universe, entanglement and CPT symmetry to reveal their Kabbalistic significance. Exploring elements of the standard model of physics through the prism of the Torah reveals a complete spectrum of insights into both realms – and even suggests new avenues for scientific investigation. What place does the observer occupy from a Kabbalistic perspective and what is the source of uncertainty in the psyche? How does 137 determine human lifespan and couple the body with the soul to give life? How does this relate to the role of women in society, the power of communication and the power of music? The answers to these questions are revealed in the pages of this book. They serve as catalysts for the final union of Torah and science. Nature and science have served as a source of parables to explain profound spiritual insights throughout Jewish history. The general teaching of the Chassidic Movement, founded by the Ba’al Shem Tov, is that every Divine concept has a parallel manifestation in the physical world, and also a spiritual parallel in the psychological realm. This teaching is emphasized in Chabad Chassidut. A true parable reveals the essential union between different strata of life. 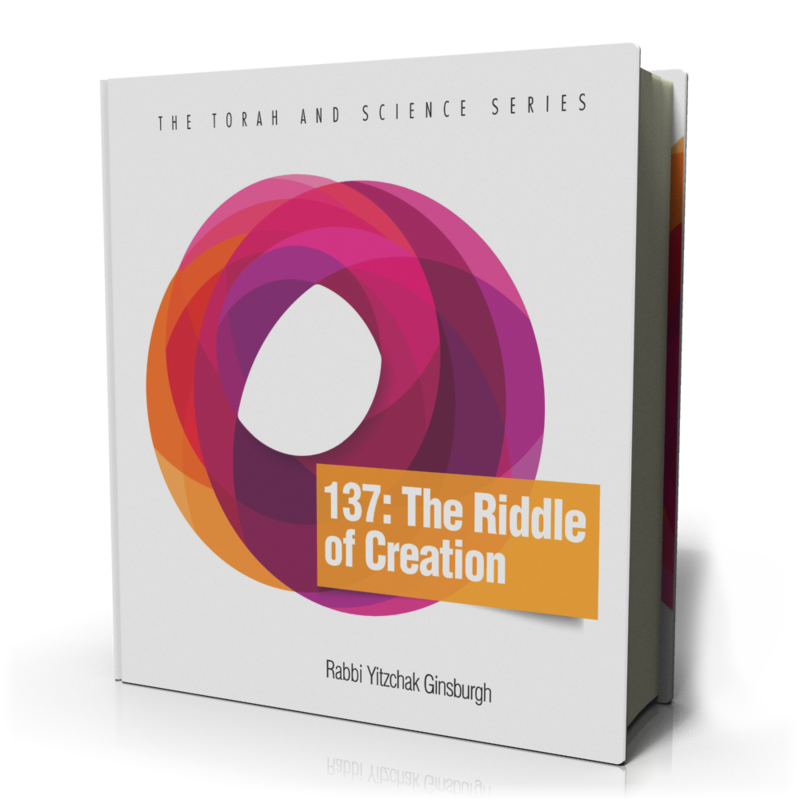 The Rebbe, Rabbi Menachem Mendel Schneerson, left us his legacy to unite “chaotic lights” with “rectified vessels.” In 137: The Riddle of Creation, Rabbi Yitzchak Ginsburgh reveals how integrating the chaotic lights of the primordial Torah in the stable vessels of modern science is an integral part of this messianic mission. The language common to both realms is numbers. The key to revealing the numerical language of the Torah is hidden in its deepest mysteries, the mysteries of Kabbalah. Kabbalah provides the fitting parables to achieve this goal.